They were told they were crazy. Statistical anomalies. Whiners. 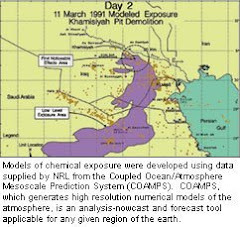 This week — after enduring 17 years of baffling and incurable ailments they blamed on exposure to nasty chemicals and untested anti-nerve-gas agents— veterans of the Persian Gulf War were told they were right. Colorado's veterans of Operation Desert Storm feel justified after a congressionally mandated panel this week announced that the mysterious and often maligned "Gulf War syndrome" was in fact a legitimate medical condition. The panel concluded the syndrome was most likely associated with a combination of anti-nerve-gas pills and exposure to pesticides. "I feel vindicated, but I'm angry. This is so long overdue," said Denise Nichols, a 57-year-old nurse who served for six months during Operation Desert Storm and has spent the past 17 years traveling between Denver and Washington, D.C., to advocate for soldiers suffering from Gulf War illnesses. "Why did it take so long to listen to the vets and their families? . . . Why have they denied benefits and hurt people and let families fall apart and have soldiers go bankrupt seeking help?" The 450-page report from the Research Advisory Committee on Gulf War Veterans' Illnesses points to evidence that "strongly and consistently indicates" a combination of anti-nerve-gas medicine — pyridostigmine bromide pills — and pesticides used to ward off desert insects — permethrin and DEET — is linked to Gulf War illnesses. The report supports the estimated 210,000 soldiers who endured a variety of unexplained ailments after their tours of duty: fatigue, headaches, joint pain, rashes, breathing difficulty, forgetfulness, circulation problems and cardiac troubles. But that support comes as waves of thousands of injured Iraq war soldiers are flooding Veterans Affairs hospitals with traumatic brain injuries and missing limbs. "I don't know where this will lead, because we have a whole other set of problems now," said Pueblo's Patricia Biernacki, a 38-year-old mother of two boys who spent years seeking help for neurological and digestive issues after her six-month tour as a Navy Reserve corpsman in Bahrain. The Department of Veterans Affairs declined to discuss the report. "The VA has accepted and implemented prior recommendations of the committee and values the work represented in the report," read a statement from VA Secretary James Peake. The Research Advisory Committee recommended that "highest priority be given to research directed at identifying beneficial treatments for Gulf War illness." To date, no cure has been found, the symptoms persist, and treatment consists of relieving the symptoms. Regardless of what happens next, soldiers who were derided or rebuffed after suggesting their maladies stemmed from their time in the Persian Gulf now have support for their arguments. Randy Saubert, who had inexplicable numbness in his fingers when he returned from Iraq, heard from a few doctors that his medical troubles were not connected to the war. "I always knew something over there caused this, and now they can't deny it anymore," Saubert said. Saubert isn't sure what he came into contact with in Iraq in 1991 that caused his body to develop amyotrophic lateral sclerosis, or ALS. Known as Lou Gehrig's disease, ALS is a progressive neurological disorder that kills nerve cells and leads to a loss of muscle control. According to the report released this week, Gulf War veterans suffer a much higher rate of ALS than other veterans. 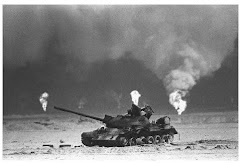 The committee also found that Gulf War soldiers who were downwind of munitions demolitions in 1991 have died from brain cancer at twice the rate of other former Gulf War soldiers. Saubert drove 38,000 miles back and forth across the Iraq desert in 1991, delivering ammunition, water, gasoline and supplies. A decade after he returned from war, he could not grip anything and he was diagnosed with ALS. Today, Saubert, who turns 52 in December and lives in Colorado Springs, has lost almost all use of his arms and legs. The VA is handling his medical bills. The VA also is helping Biernacki, who saw her troublesome headaches and stomach pains explode into tremors, seizures and emergency surgeries during her second pregnancy, five years after she returned from the Middle East. Today, she takes daily medications and has gone a year without any trips to a hospital. "That's a good record for me," says the 38-year-old. "Last year, I went four times." Like most veterans, she can't pinpoint what caused her maladies. She remembers taking anti-nerve-gas pills. She was told, she said, that if she refused, she would be sent to the military prison at Leavenworth, Kan.
"If I knew then what I know now, I would have gladly gone and sat in Leavenworth," she said. Anthony Hardie, a Gulf War veteran who serves on the Research Advisory Committee, said he and others in his unit took PB pills for weeks and combined "continual use of DEET and permethrin" with pest strips, spray trucks and other pesticide exposures. "Like many of the guys in my unit, I became sick," he said, with respiratory ailments and the "typical roundup of fatigue, bowel symptoms, chronic widespread pain." The committee report is "a profound victory" in one sense, he said: "It's government and science finally saying what Gulf War veterans have been saying all along." But the report "does not yet bring treatment of the illness, nothing getting at the underlying cause," Hardie said. And 17 years "is an awful long time for someone to wait to get health care."